Rosary beads, you are viewing UMX > Beads > Rosary or Prayer. Rosary Beads and Prayer's Bead Supply: From Factory Direct Rosaries Bead Store. We supply a variety of rosary beads and prayer's bead supplies with different style of colors, arts and shapes available. Our rosary beads have different materials to meet your rosaries making requirement. 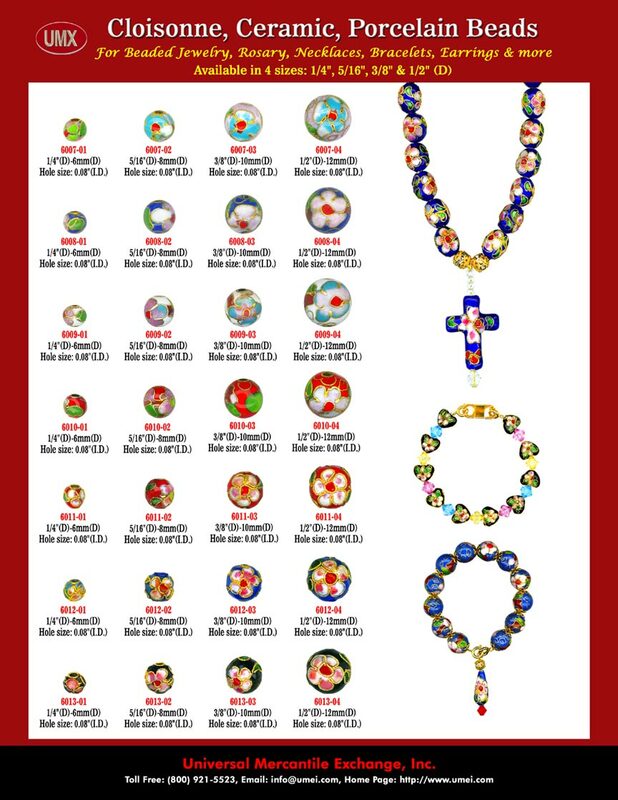 We have rosary beads made of cloisonne, ceramic, porcelain, plastic, wood, metal, cloisonné, porcelain, ceramic, glass, gold, silver, stone, glass or acrylic material. Please check our online prayers' bead stores for more rosary supply information. UMX > Beads > Rosary or Prayer. You are viewing UMX > Beads > Rosaries and Prayers.